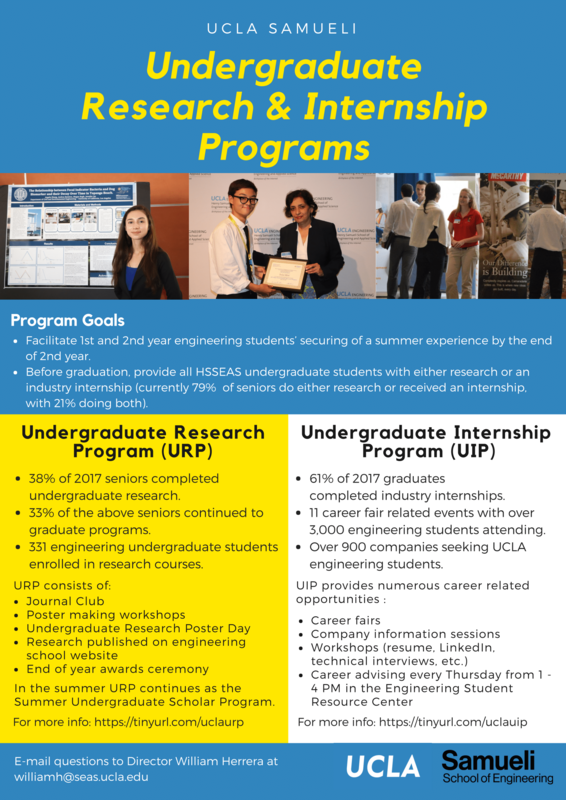 The purpose of the Undergraduate Internship Program is to support and facilitate students to search and secure their first industry internship. 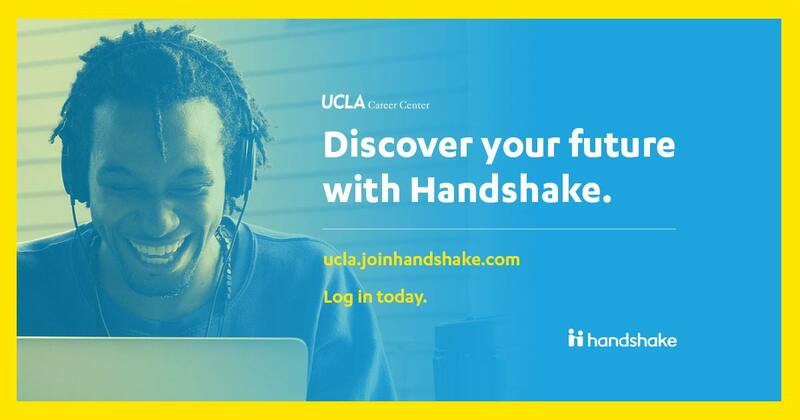 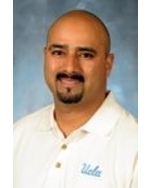 Visit the UCLA Career Center to access your Handshake account and a plethora of additional resources. 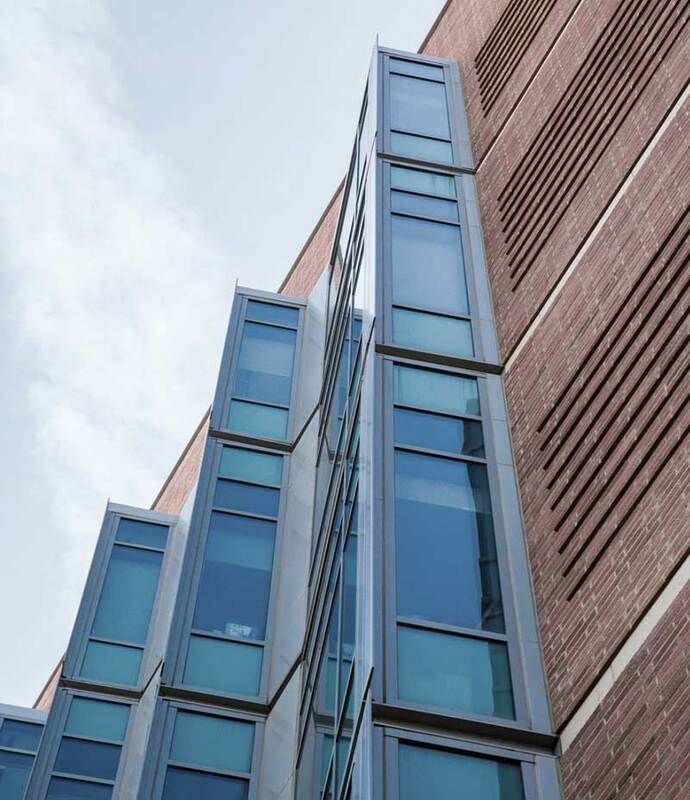 To make an appointment, fill out the pre-advising questionnaire. 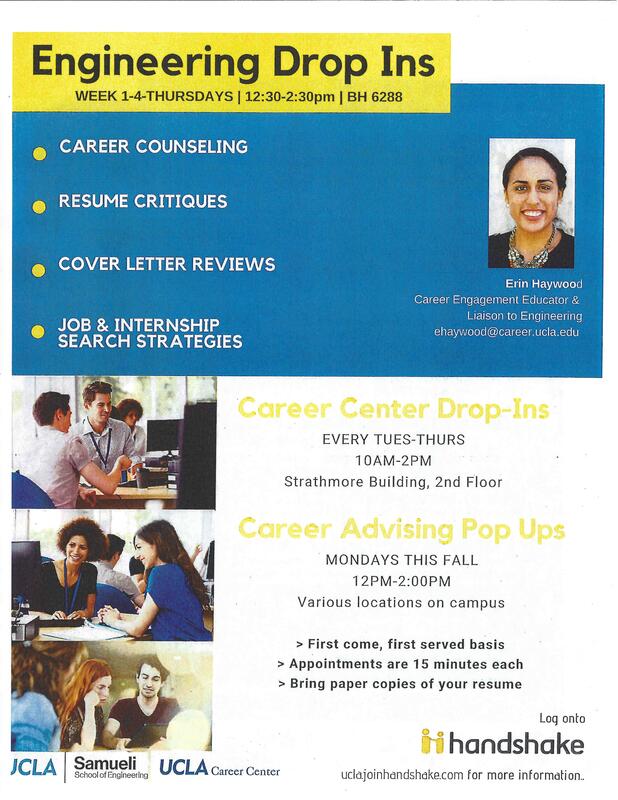 For resume critiques, please come prepared with a job description for a job/internship you intend to apply for. 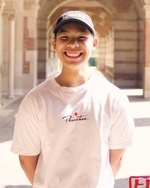 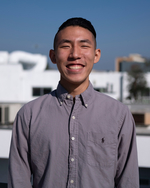 UCLA engineering organizations host company information sessions throughout the year. 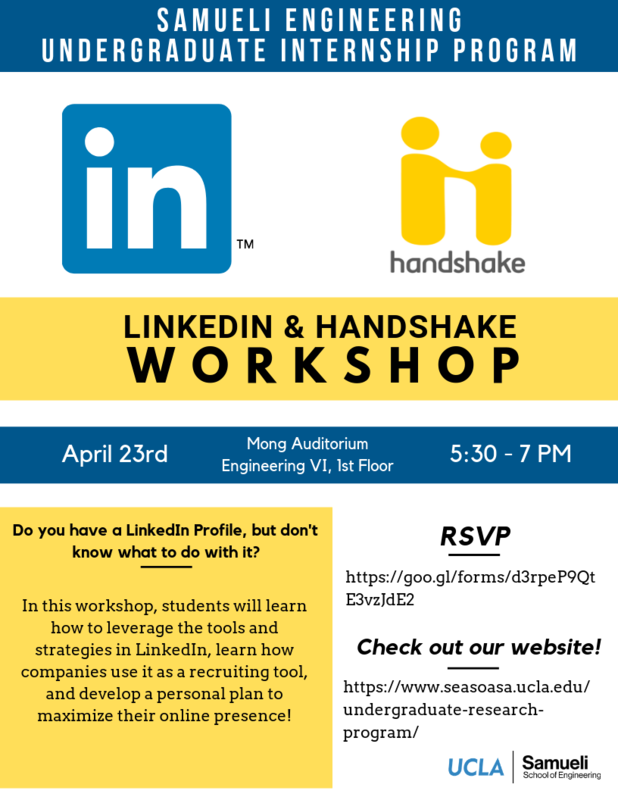 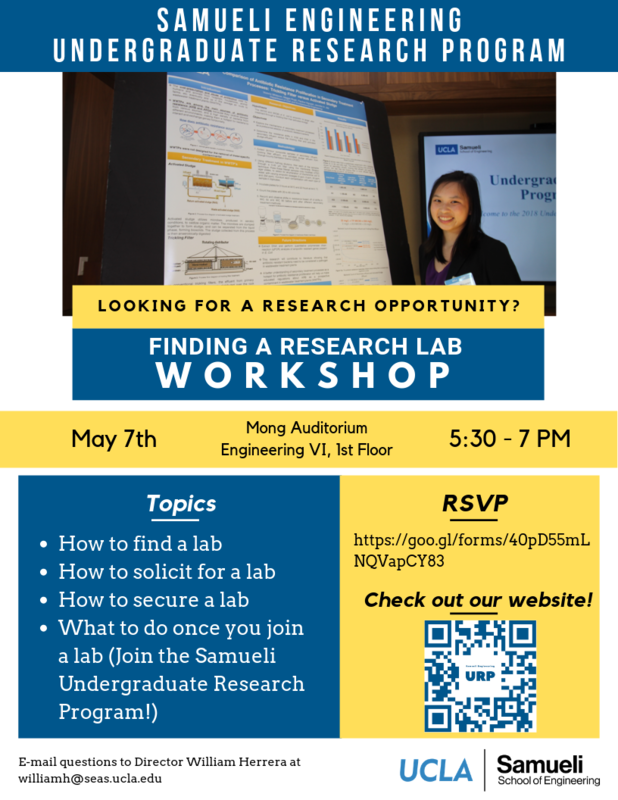 Every quarter UCLA HSSEAS collaborates with the Career Center to host 10 – 12 events specifically for engineers, including networking nights, resume workshops, career fairs, and much more. 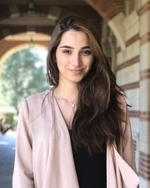 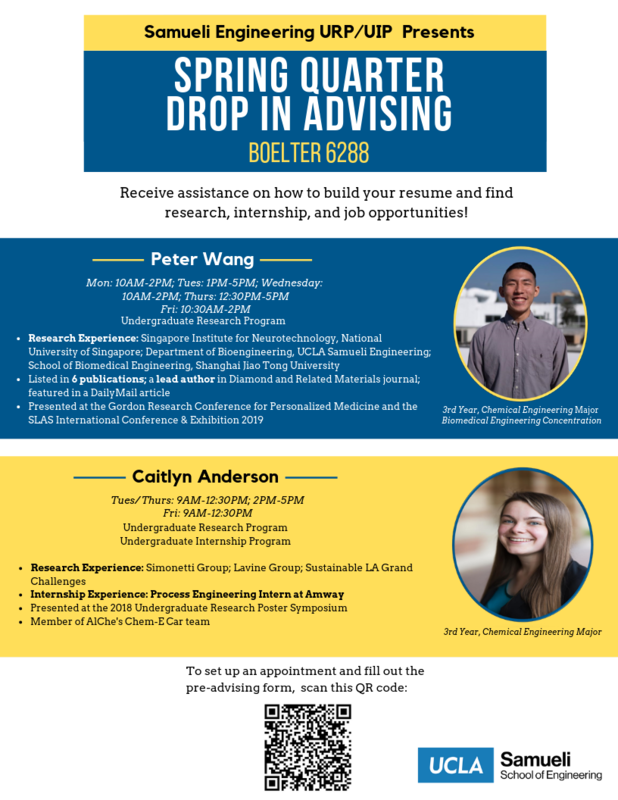 The UCLA Career Center hosts events for the entire campus that include resume critiques, interview preparation, grad student advising, and much more. 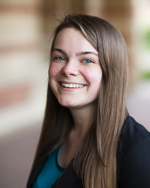 Engineering 195 is a contract course that gives students the opportunity to receive course credit for an academic year internship. 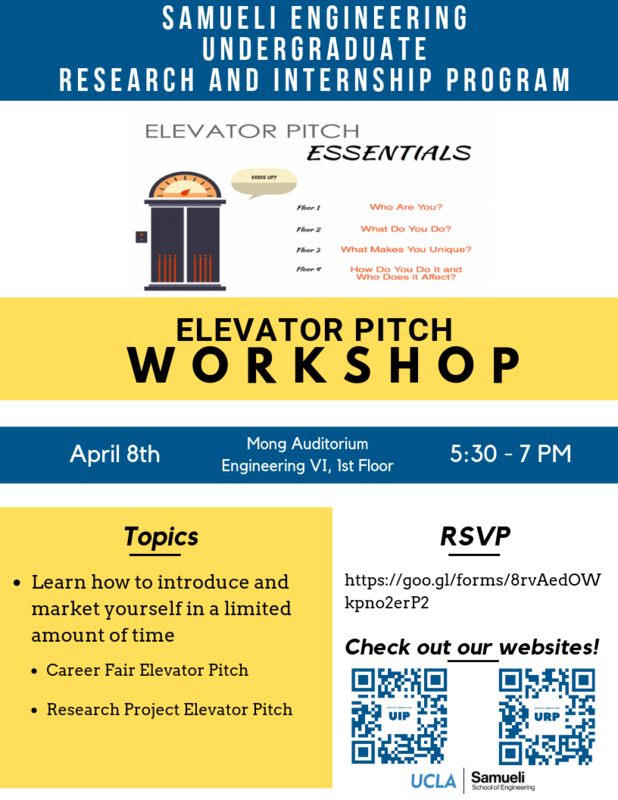 Find out how to enroll here!